Babu Owino arrested following his remarks to Kuria – Kenyatta University TV (KUTV). All Rights Reserved. 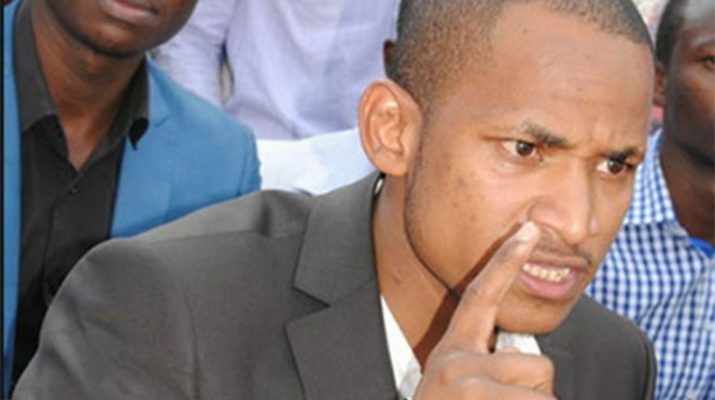 The university of Nairobi student’s leader (SONU Chair) Babu owino has been arrested following his social media video that has been termed as inciting. The SONU Chair and Embakasi East aspiring MP Babu Owino in the video was addressing Gatundu South MP, Moses Kuria remarks over Raila Odinga assassination remarks. ”Revolution is coming,” Babu said after terming the words by Kuria unaccepted by youth pointing out that he should have not spoken to or about the CORD chief in the way he did. Babu said this on Monday afternoon, as he attended an ODM Youth and Women press conference where he condemned the utterances of Gatundu South MP Moses Kuria. Currently, Babu is being held at Kilimani Police Station.Early in the morning, other two MP were arrested over hate speech remarks among them Junet Mohamed and Timothy Bosire. Junet and Bosire arrested over hate speech.